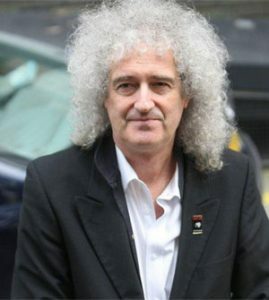 For four decades, Kim Stallwood has had a front seat in the animal rights movement, starting at the grassroots in England and working his way up to leadership positions at some of the best-known organizations in the world, including Compassion In World Farming, the British Union for the Abolition of Vivisection, and People for the Ethical Treatment of Animals. Yet, as Stallwood reveals in this eventful memoir of a life dedicated to social justice for other species, finding the truest path for progress means learning a lot along the way. Equal parts personal narrative, social history, and impassioned call for rethinking animal advocacy, Growl describes Stallwood’s journey from a meat-eating slaughterhouse worker to a vegan and activist. 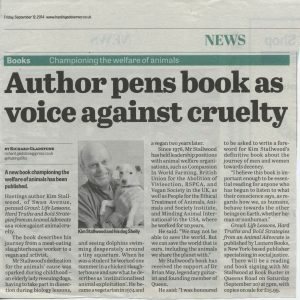 He explains the importance of four key values in animal rights philosophy and practice — compassion, truth, nonviolence, and justice — and how a deeper understanding of their role not only leads us to discover our humanity for animals, but also for ourselves. Listen to me read these extracts from Growl. A collection of events in the history of Growl. From book signings to to talks and milestones in the book's promotion. 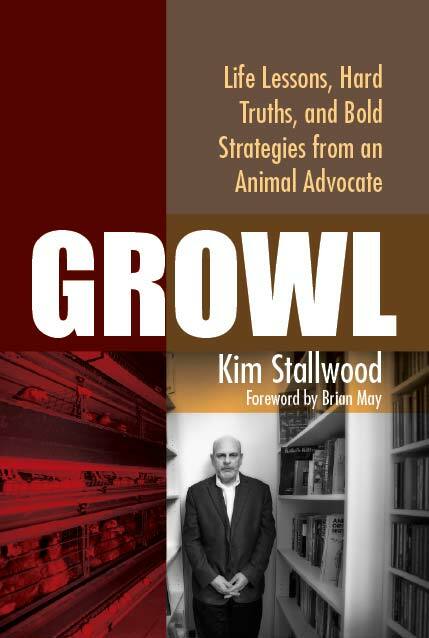 Read what the critics have to say about Growl.